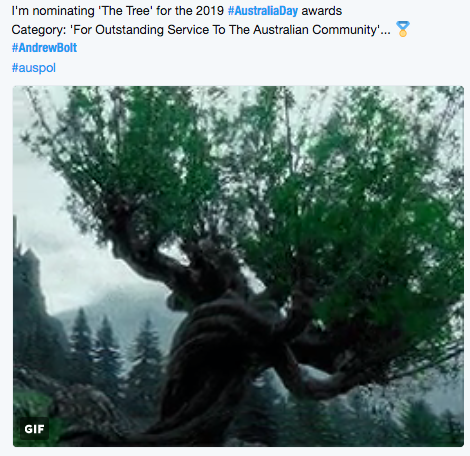 In the midst of massive marches in the capital cities protesting about the choice of date for Australia Day, Andrew Bolt started trending alarmingly on social media. 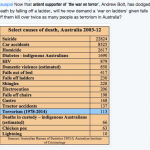 Just when you thought, Andrew Bolt trending on Australia Day – given his previous opinions on aboriginals – could not possibly be good news, I had a changing paradigm moment. All of a sudden I am thinking of converting to Hinduism. 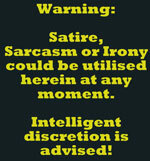 If I sound confused, it is because I am no longer sceptical of karma. ? The witch hunt for which tree was responsible? 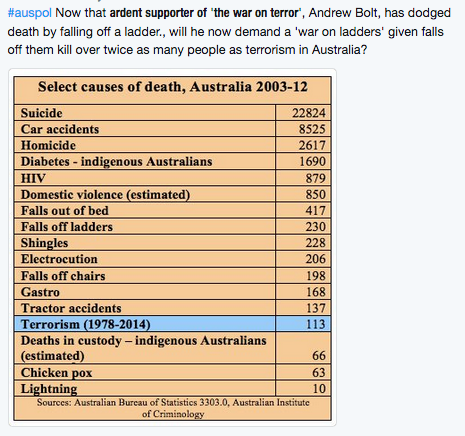 Andrew Bolt was injured after falling from a ladder while attempting pruning a tree. Despite hopeful reporting removing the decimal point, it was confirmed to be only a 3.5m fall, injuring his wrist and ribs. 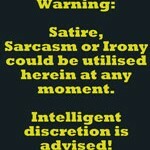 Medical staff confirmed there was no head injury despite the fact that behavioural indicators may have suggested otherwise. Despite expectations, no confirmation that he blames political correctness & the unions have been found although the possibility that the ladder leaned to the left as he leaned rightwards may have been a contributing factor. Concerns have been expressed that this was probably the time to embrace his inner “tree hugger”, although some have queried if indeed the tree itself may bear some responsibility. Identifying the tree has been of some concern because the community is torn between pruning it further or awarding it for services to the community. Sufficient to say there appears to have been no further adverse consequences to the tree, for which many on social media have expressed grave concern. 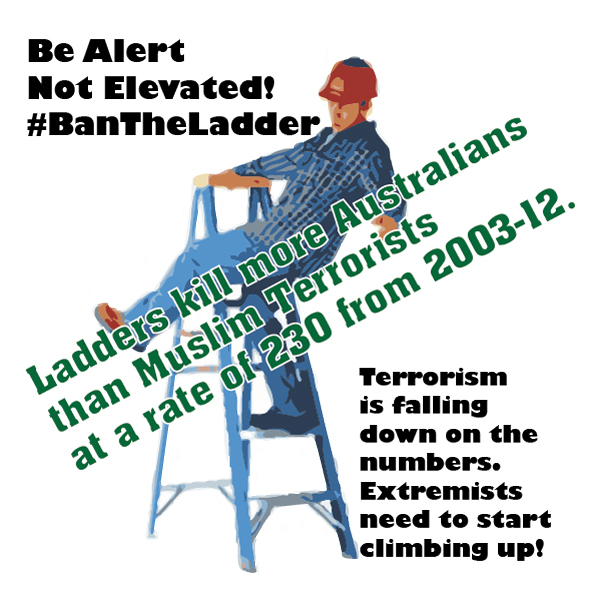 “Lone Wolf ladders terrorising Aussie households believed to be weaponising gravity“. ? Remember it is up to you more progressive folk go out to your own ladder and assure it that you understand that most ladders are useful. 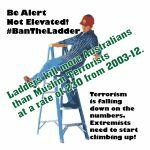 Note that while there are some aberrant ladders want to bring about the downfall of humanity, it is true that most moderate ladders are of the class that seeks to be uplifting? ? Donations will be accepted to aid the recovery of the patch of grass he fell on between a concrete path and bench. Please note the concrete path and bench are not responsible for their unfortunate placement. ? The ladder appears to have suffered no ill effects from the fall. ? « Violent Christian terrorist shoots innocent civilians!